In case you missed it, The Wellness issue of NY Times Magazine came out last week. There is, of course, loads of fodder for healthy living; relationships, mental health, exercise, the food critics diet, and even a little interview on the many joint replacements of Jane Fonda. One thing is going to become clear in the coming years, Braun says: if you want to lose weight, you don’t necessarily have to go for a long run. “Just get rid of your chair”. Let’s be clear. 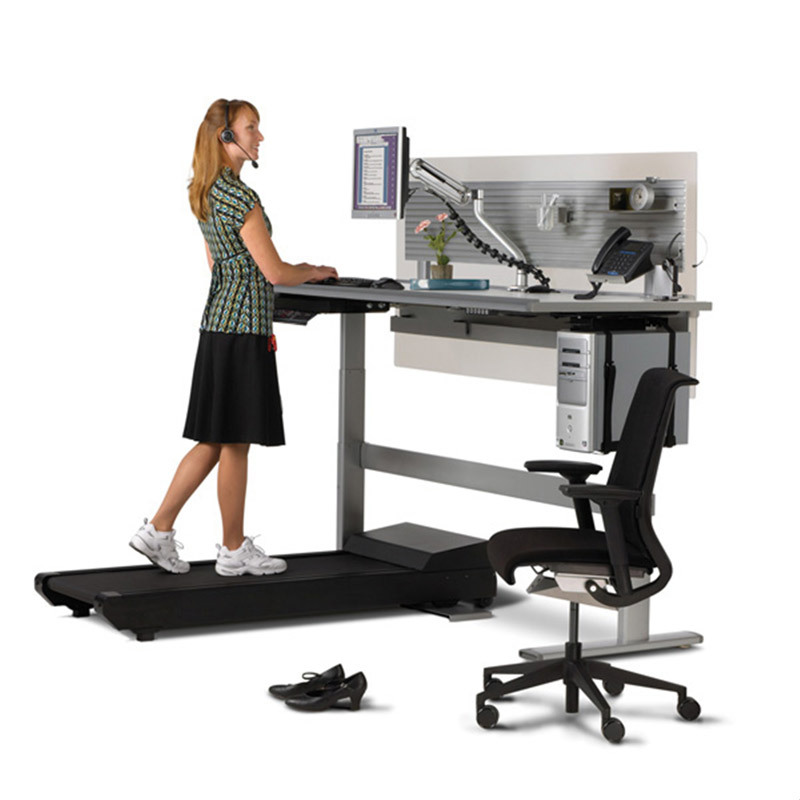 It doesn’t mean a treadmill desk is going to be the answer to life’s problems. What it does means is all the little things we do throughout the day add up to make a big difference. It means, keep moving! “Getting rid of the chair” means balancing our relatively recent technological advances with what the human body is built to do: move. We have not yet evolved to large brain blobs being fed by tubes and hovering in glass jars, so might as well keep those limbs working. If we open up to new concepts and ideas regarding balancing our lifestyle choices (changing dated habits in our work, family, home and school schedules) the world will follow suit. Afterall, the world is our playground, not our work station. Your own genius suggestions are highly encouraged. 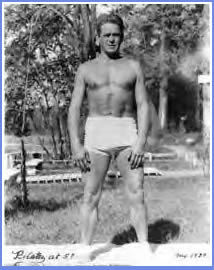 Joseph Pilates was a manly man. Strutting his stuff well into his 70s, smoking cigars and sporting tighty whities, this former boxer and circus strongman (“living Greek Statue” to be precise) mainly taught his method of exercise to men, until he came to New York and moved his studio into the same building as the NYC Ballet. Once Pilates became associated with dancers, it seems the menfolk started to disappear. To set the record straight, Pilates is not just for dancers. 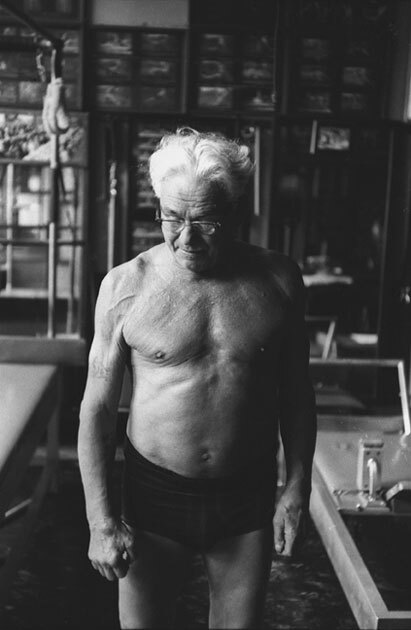 Joseph Pilates himself called his exercises a corrective method of movement. Many athletic men still complain of a bulging belly and back pain, When properly executed, Pilates exercises improve muscle imbalances, building strong, flexible trunk muscles, backs free of pain, and younger, taller posture in any body. Strength need not come from strain. The subtly of Pilates can, at first, be frustrating, and might not jive with traditional notions of a manly workout. 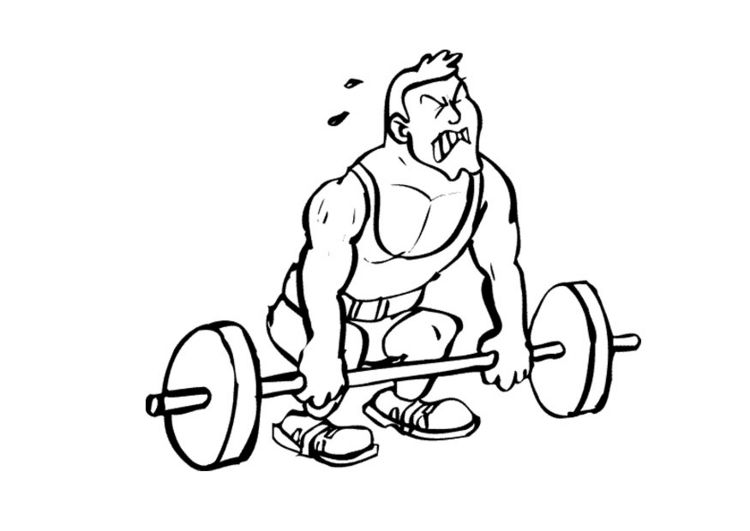 Try to leave the power workouts at the door, at least in the beginning. A good Pilates instructor will not allow clients to power through an entire workout without proper muscle control. The challenge of Pilates is in the details. 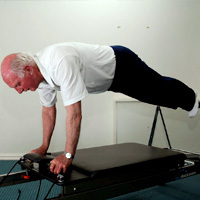 Pilates core strength comes from muscle awareness and control. (Joseph Pilates named his exercise method, “Contrology”.) Finding control requires some thoughtful and, often, small movements. These beginning steps shape the more advanced work that comes later. Without awareness of all muscles, both large and small, the benefits attained will be limited. It’s training for the body and mind. With proper control, even a football player will struggle with 2 pounds weights if they lengthen muscles outward from a strong core, rather than tense up and inward to power through. It’s like the Aesop moral, “better to bend like the reeds than break like the tree trunk”. Keys to good Pilates: Stretch the spine and draw in the abdominals during all movement. 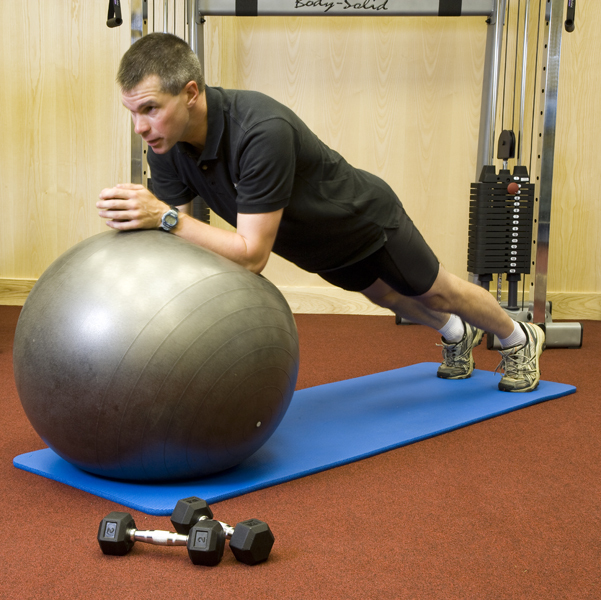 This is often referred to as “scooping” your abdominals. Lifting the spine upwards and allowing space between the vertebre to corset the trunk muscles inward. Sit up as tall as you can, lifting up out of your hips. Place your hands on your lower abdomen with your fingers spread apart. Imagine you have a belt slung low across your hips.Inhale deeply through your nose for 5 counts. Exhale through your mouth for 5 counts, imagining you’re tightening the belt and drawing your hip bones closer together. Your fingers should interlace as you exhale completely. Your core is a corset of muscles with several layers that wrap around your trunk. Pilates exercises draw this corset tightly inward to support the spine rather than push outward away from the center. Now do that same scoop as you perform a forearm plank on a fit ball. Hold it for one minute. Stretch the neck long. Keep the shoulders broad. Continue to draw the trunk muscles in as you breathe. Proper core strength aids in preventing diastase, back pain, belly bulge, neck and should tension, and many other issues. Find a good instructor and practice the basics regularly to gain insightful muscle control and core understanding to compliment any exercise activities. Then you too can strut around in tighty-whities with your shirt off being the manly man that you are…on second thought…keep that at home. For more information, check out this Wall Street Journal article discussing the growing popularity and importance of core training.